Strawberry Road: Elfkins!!! Too early for Christmas??? 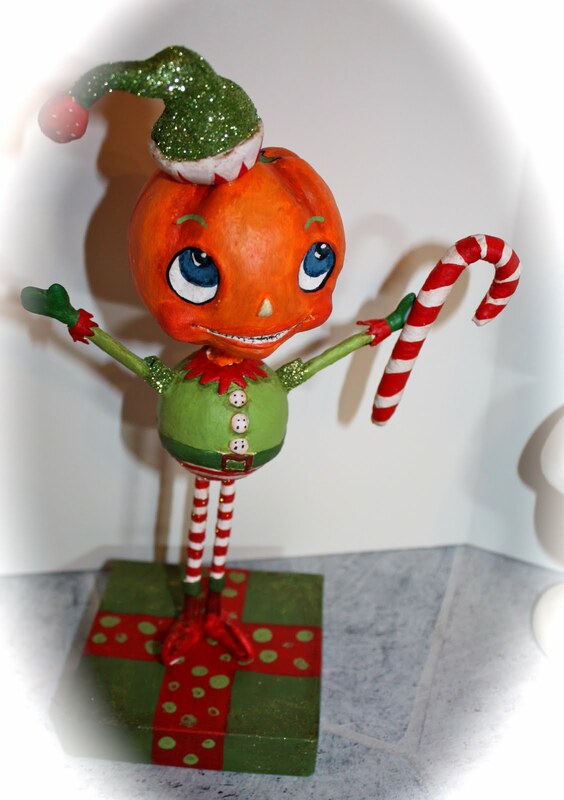 ELF + PUMPKIN = ELFKIN!!!! My Pumpkin Series was popular at my day job, my fellow crew requested I do a pumpkin in a Christmas fashion! So here, may I present my first Elfkin, made to order for a very special coworker/friend! My hope is that you are tickled and inspired to create your own something or other! Thank You so super much for stopping by! very cool! nah never too early at all!! 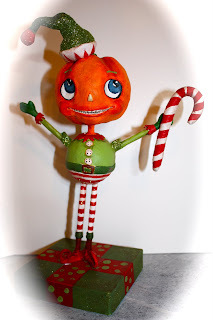 i so want to make a mixed media art doll. I LOVE this elfkin! Super cute!